Spatial Temporal Math (ST Math) is a grade-leveled instructional software designed to help all students reach math proficiency through self-paced, language-independent, mastery-based objectives. It is closely aligned to state and Common Core standards and integrates with core instruction. The ST Math software games use interactive, graphically-rich animations that visually represent mathematical concepts to improve conceptual understanding and problem-solving skills. Through a 1:1 learning environment, the games gradually increase in difficulty and provide immediate feedback. 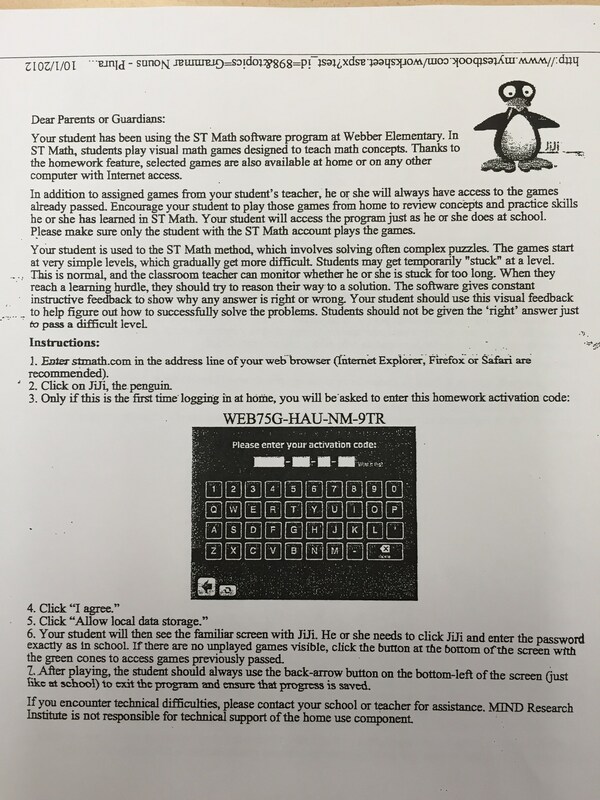 Students can work on ST math from home for additional homework.